Vampires and werewolves shouldn’t fall in love. Lysandra was born for one reason; to kill shifters. Princess of vampires, the heir to Vlad Dracula’s throne and the last descendant of Princess Anastasia, Lysandra lives in a castle of witches and human slaves,engaged to a dark vampire prince and prophesied as the one who will end the war between vampires and werewolves forever. Everything changes when Lysandra finds a dying werewolf. She takes him into her care and quickly falls in love, unable to explain the magical connection between them. If she’s discovered, she will be put to death. But how can she stop the war when her worst enemy is her true love? 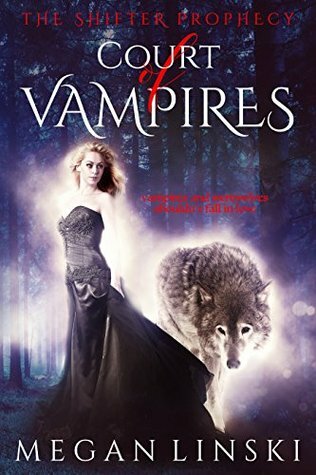 A heart-stopping love story filled with shocking twists, Court of Vampires is a thrilling young adult fantasy that readers will devour over and over again. The legend of what really happened to the Romanov family is retold in Megan Linski’s newest haunting paranormal romance. Megan Linski is the owner of Gryfyn Publishing and has had a passion for writing ever since she was a little girl. Her specializations are romance, fantasy, and contemporary fiction for teens and adults. When not writing, she enjoys ice skating, horse riding, and being outdoors. She is a passionate advocate for mental health awareness and suicide prevention, and is an active fighter against common variable immune deficiency disorder. 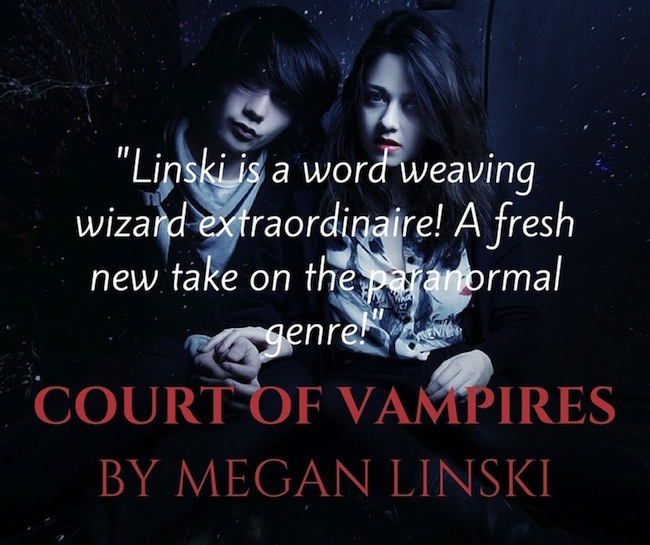 In December 2016, Megan signed a deal with Amazon's Kindle Press for her Kindle Scout Winner, Court of Vampires, due to be published 2017. You can find Megan at www.meganlinski.com, and receive a FREE book, The Witch's Curse, by signing up for her VIP List there. 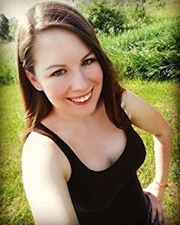 Megan Linski also writes under the pen name of Natalie Erin for the Creatures of the Lands Series, co-authored with Krisen Lison.